RB-DEED8 Dolby® E Encoder 8 Channel, Digital Inputs. The RB-DEED8 is a Dolby® E Encoder. 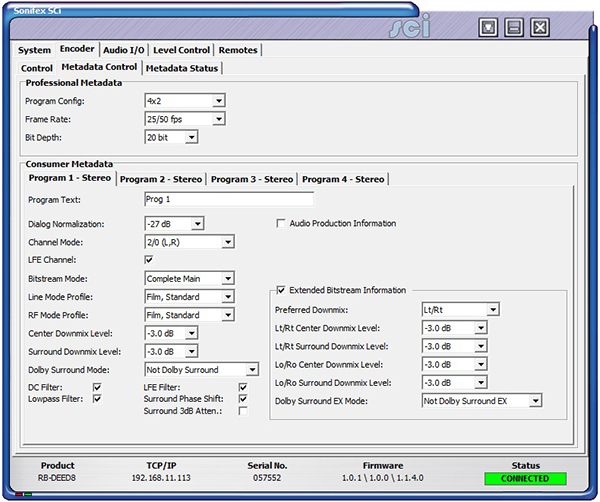 It encodes up to 8 digital audio channels into a single Dolby bitstream output. 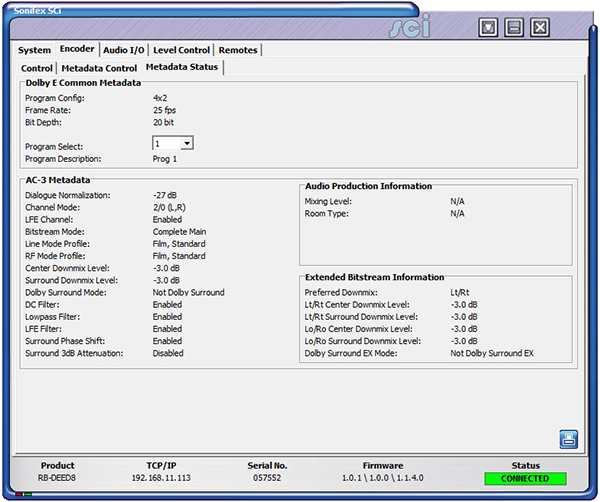 There is also an extra Dolby output for connection to monitoring equipment. Each digital input channel has independent level control, which can be adjusted from -24dB through to +24dB in 0.5dB steps. 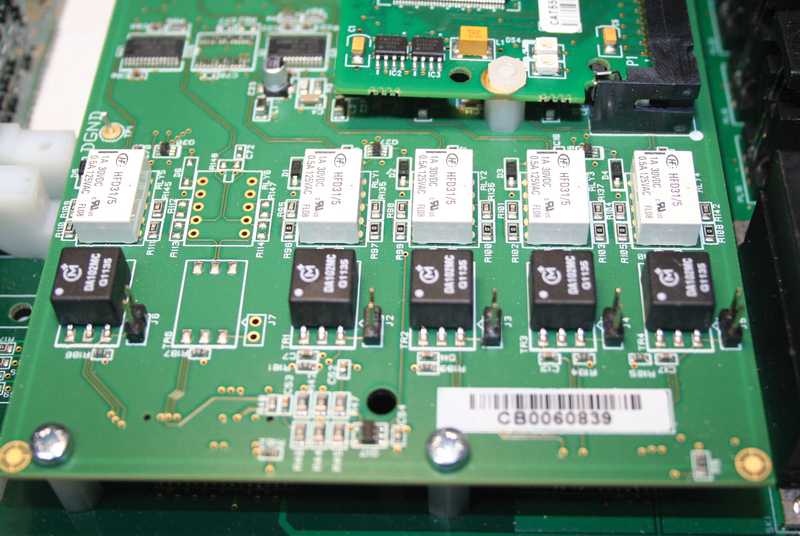 The digital inputs and outputs can be selected to be either balanced or unbalanced AES/EBU specification, and can be connected through either BNC or D-type connectors. These I/O connections are paralleled, allowing one type to be used per input or output. Metadata can be input to the encoder using RS-485 via the external 9-pin D-type socket on the rear panel and can also be viewed using the SCi software. A video input is used to genlock the audio output and Dolby® E encoding to a known video reference. 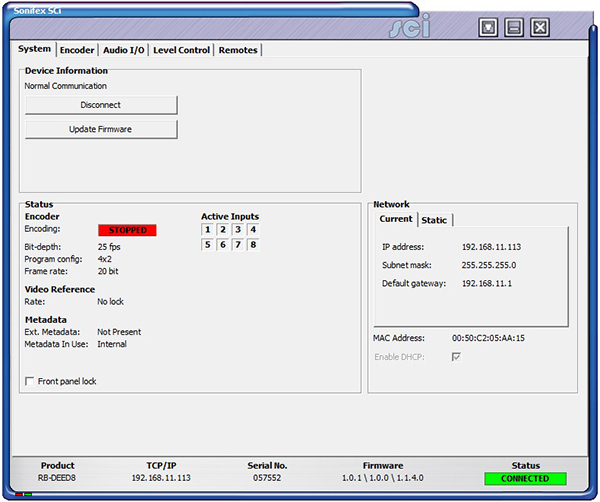 This input autodetects between NTSC, PAL or Tri-level sync. 8 general purposes inputs and 8 outputs are available on a rear panel 25 way D-type socket whose function can be programmed using the menu, e.g. 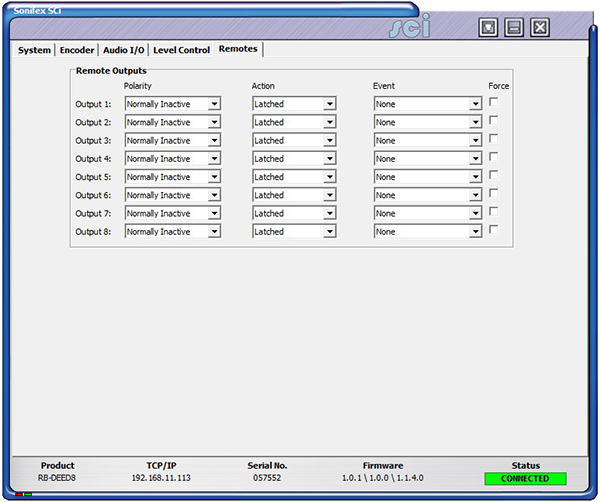 alarm outputs for loss of input or encoder errors. The unit is controlled locally using the front panel display and control knob but can be remote controlled via an ethernet connection using the Sonifex SCi software. The Redbox Dolby® Encoder products use differential inputs that can be terminated with either 75Ω or 110Ω for unbalanced or balanced inputs, respectively. For unbalanced inputs, all that should be required is to set the inputs to 75Ω. However it has been found in rare circumstances that in this case there are issues with grounding when the input is connected from other manufacturers’ products. Should problems of this nature occur, internal ground link jumpers have been provided on the RB-AIM-DE sub-board PCB to correct the problem. These short to ground one of the differential inputs, effectively providing a ‘true’ unbalanced connection. 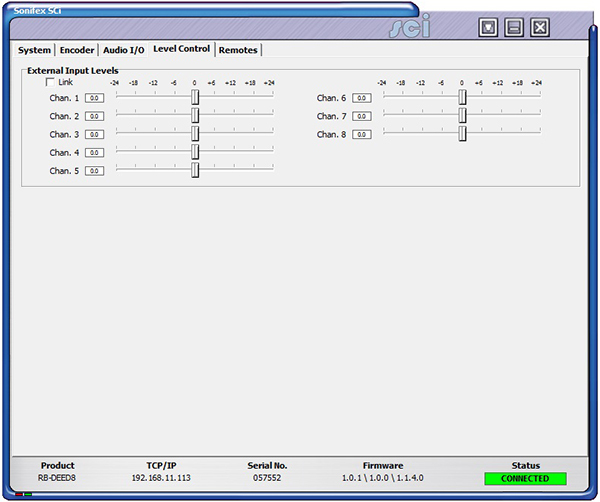 It's also possible to do the same for the digital output using link J6.